A Business Cloud is a collection of Clouds, within a Team, that are administered by one master account sharing one common Cloud capacity. Members of a team can synchronize portions of their Clouds with each other securely. People want to share but while it is possible for many people to easily share one Private Cloud by simply sharing the username/password in this setup everyone has full access to everything. This may not suit and sharing with lots of different securities and action tracking may be preferred. This is a common desire for a business so GlobalClouds allows for the establishment of Team Clouds for employees which staff can then use to create synchronizations and permanent shares amongst themselves. Each Team Cloud can synchronize files and folders permanently with other Business Cloud team members with detailed control over file rights. Team Clouds can have their capacities limited by the master account holder if desired and our team system allows people to find one another within the same Business Cloud in a secure controlled manner. Control over synching outside of a Business Cloud can only be set by the Business Cloud Master Account holder. In this way team links for permanent sharing and syncing outside of the Business Cloud to other Business and Private Clouds is controlled by the Business Cloud owner. BYOD File Sharing can jeopardize the security and integrity of business data. The consumerization of IT and the popularity of “Bring Your Own Device” has lead to innumerable holes being poked through secure and audited infrastructure as users seek easy ways to move and share data. By supporting so many different operating systems and hardware platforms a Business Cloud can be a fantastic, simple, fast, easy way to rapidly support staff with their own devices who need access to office File Servers. Business-2-Business Team solutions from GlobalClouds take the place of un-encrypted, insecure consumer-grade public cloud file services. By establishing Team Trusts between Business Clouds enterprises receive a data sharing solution that is convenient, easy-to-use, and rigorously secure. By deploying a GlobalClouds Team Storage solution enterprises can ensure that employees get the file and diary sharing services they want, while IT gets the management and monitoring capabilities they need for security and compliance. 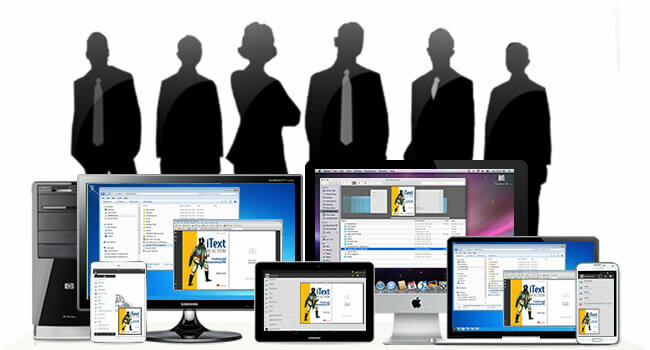 Individual team members still get to synchronize all their devices keeping files, photos, calendars, contacts, music etc constantly updated but they also get the added ability to find other team members and share within a controlled corporate setting. Team sharing works “Server to Server”, “Device to Device” and “Server to Device” and “Team to Team”. Any combination is possible. Additionally version control allows for rollback to many points in time for all stored files. Where is your data? How is it stored? Worried about Cloud Security? Where is your data? Who can read it? Who has legal content rights? Well GlobalClouds encrypts all your information with your explicit service passwords when it is written to the storage so it is unreadable by anyone. If you forget or lose your password GlobalClouds can not recover your files for you as changing your password does not give access to previously encrypted data. We can only delete the encrypted files so you may re-upload from your server/PC/device copies which are not encrypted. (Only the Cloud copy is encrypted.) Secondly we tell you exactly where your data is physically located so you are aware which legal jurisdictions apply and as your files are scrambled we make no copyright claims. LDAP support comes in handy for organizations with many users who change often. GlobalClouds can establish directory authentication with any corporate LDAP server (such as MS Active Directory or OpenLDAP). We support many different LDAP replication methods as desired by the corporate security policy and can work with most vendors. For more information please contact sales@globalclouds.com direct. Maximum value for money comes when you purchase in bulk and minimize waste. When a family, organization, school or business share a Business Storage Team service the storage capacity is shared allowing for less waste and a combined purchasing power. This maximizes your value for money. With Team Business Storage you purchase one big discounted cloud and you share it out as mini-clouds. You can limit each mini-cloud to a maximum size or leave them unlimited. As the master account holder you benefit from bulk discount and less waste. With each team service you have a master account and one or more child service accounts. Each child account is in essence a personal storage Cloud within a master team Cloud. Team members within the same Cloud can find each other by lookup to share resources. Shares can be made explicitly by folder, file, calendar or address book and permissions can be read or read/write with or without reshare rights. Child accounts belongs to a single master team but they can also be members of up to four other teams. The setup of a team member to join a second, third and fourth teams is performed by the master account holder for security. New team names are created to join two or more master accounts. This process is agreed offline between the parties and is very simple to implement by making up a new team name, agreeing a password and joining members. Team members can then easily find each other to create shares of their information in a secure and audited fashion. Team membership can be though of as a way to allow people to find each other within the GlobalClouds eco system. The large storage capacities of the team offerings and the file synchronization client software provided by GlobalClouds combine to provide a perfect real-time backup solution. Data folders on Linux, Windows or Apple machines can all be synchronized with specific folders in the Cloud repository. Changes are audited and rollback version control is standard. If a folder synchronization mechanism is considered overkill the WebDav protocol can be utilized to map a drive letter to the Cloud resource. Standard operating system backup programs can then write their nightly work directly up to the Cloud store. In Windows for example this is a simple as typing ” net use g: https://storage.au.globalclouds.com ” at the command prompt. As with all GlobalClouds systems you can refer a friend and receive a 15% referral fee earning residual trail income in perpetuity. You can build your own Cloud business!! Basically for each person or business you recommend to a free trial who goes on to purchase a monthly or annual plan we will credit your account with 15% of the exclusive of tax fee levied. If your account moves into a positive and growing balance because of your efforts we will pay you out quarterly. This process is all automatic, easy and self managed. We place weight on reliability, security and intrusion detection above any other operational consideration. For security we use encryption in two ways. Firstly when transferring between your devices and our Cloud Servers we enforce the use of ‘TLS’; a secure communication protocol used in the same way as your bank does. Secondly when our Cloud servers ship off your data for storage by our DataVaults in different parts of the world they mash up (encode) your data with a random key at write time. This key is protected with your password so that without your password no one can read your data. Sign up for a free trial immediately. All you need is working email address and you can activate a free trial of our storage services. After a month you can choose to pay for your subscription or not. Its as simple as that. To maintain full anonymity contact us from your email to arrange payment by BitCoin.